From the initial phone call or email of setting up your estimate to the final project day, our team is with you all the way. 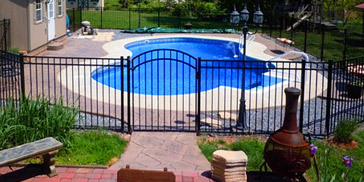 It is our goal, here at Dan-Tam, to ensure you as the customer get exactly what you are looking for. If, at any time, you have questions or difficulty making decisions one of our team members will be there to assist and guide you. 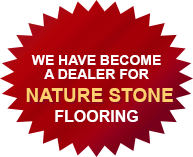 For inquiries or a free estimate please contact our office today! 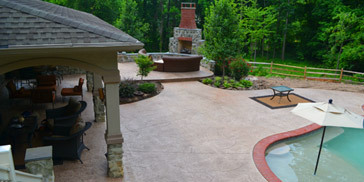 We thank you for considering Dan-Tam for your stamped concrete needs! 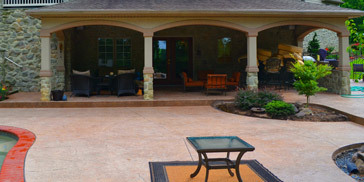 What is stamped concrete and where can I use it? 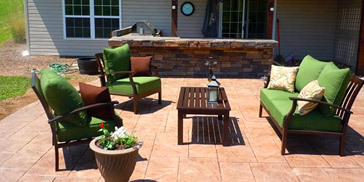 Stamped concrete is a low maintenance, cost effective alternative to brick pavers or natural stone. 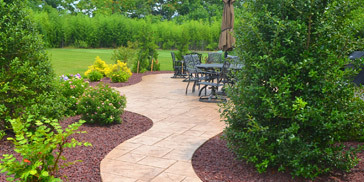 It boosts curb appeal as a paving material for driveways, pool decks, patios, walkways, garden paths, and steps. 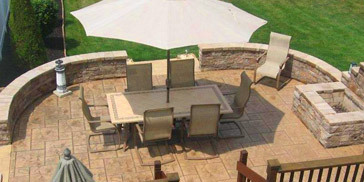 Why do most basement floor coverings periodically need to be replaced? It's because of the concrete and the moisture. 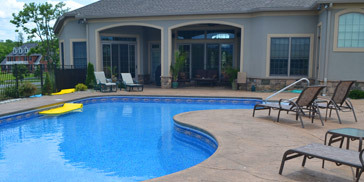 Concrete is porous and damp. 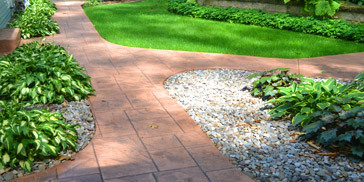 Moisture and dampness migrate up through the concrete and get trapped beneath carpet, tile, wood, linoleum and paint, not allowing for normal evaporation to dry things out. This results in mold and mildew forming beneath carpeting, tiles becoming loose, and paint blistering and peeling. 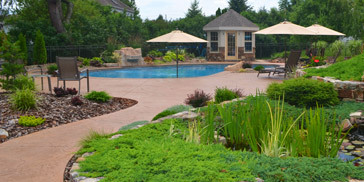 Nature Stone is designed to breathe allowing evaporation to take place naturally and eliminating these common problems.